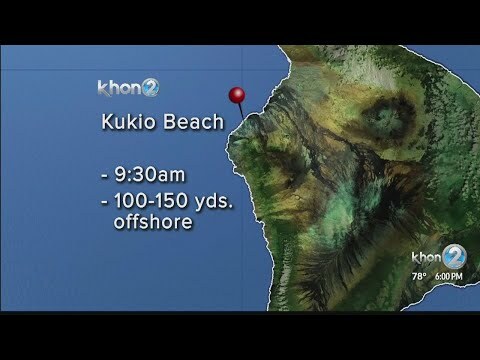 25-year-old man is attacked by shark at Kukio Beach in Hawaii. A shark attack on Hawaii’s Big Island has left a man in critical condition, media outlets reported. The man was standing on a paddle board around 9:30 a.m. on Saturday at Kukio Beach in Kona when the shark attacked, local media outlets reported. A private safety team heard screams and found the man had been knocked off the board about 100 to 150 yards off shore, fire Capt. Michael Grace told KHON-TV. The 25-year-old man suffered injuries to the right side of his body and limbs. People on the beach had to administer multiple tourniquets to his right arm and leg before emergency workers arrived, the Honolulu Star-Advertiser reported. The man was reportedly airlifted to a hospital and underwent surgery.